Since the season 2014/15 Ralitsa Ralinova can be seen at the Wuppertal Opera House, where she attracted attention in the title role in the world premiere of A.N. Tarkmann’ s opera ‘ALICE in Wonderland’, as ZERLINA in Mozart’s ‘Don Giovanni’, as FLOWER MAIDEN in ‘Parsifal’ and as NINETTA in ‘The Love For The Three Oranges’. In 2017/18 she sings here GILDA in ‘Rigoletto’, GRETEL in ‘Hänsel und Gretel’ and FRASQUITA in ‘Carmen’. 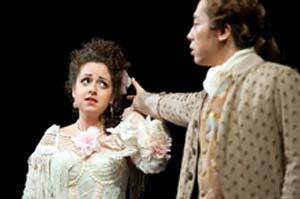 As ZERLINA she also succeeded at the Rostock Popular Theatre and in her German debut at the Bamberg Summer Opera 2013. Only 28 years old, yet the artist has already made stage experiences as an opera and concert singer in her native country Bulgaria. She sang concerts with the Plovdiv Philharmonic Orchestra and was a soloist with the „Sofia Boys Choir“, with whom she made a Belgium tour in 2012. In 2015 she made her debut at the Opera in Russe as GILDA in’ Rigoletto’. Since 2016 she regularly sings this part at the Sofia National Opera, where she participated in 2016 in a New Years Gala Concert. Before, she also portrayed here GASPARINA in „Il Campiello“. She performed PAMINA in a CD recording of „The Magic Flute “ under the musical direction of Emil Tabakov. The young artist started her musical education with piano and singing studies at the National Music Academy „Pancho Vladigerov“ and finished them with a Master diploma. She completed her singing studies with a master class in French Music with Vera Nikolova and Olivier Dauriat. She also absolved master classes with Alexandrina Milcheva, the conductor Ivan Anguélov and Prof. Thomas Moser (at the International Summer Academy Prague/Vienna/Budapest). Ralitsa Ralinova is a Prizewinner of numerous singing and piano contests. In 2012 she won the 1st Prize of the 23th International Singing Competition in Provadia, the 1st Prize at the International Singing Contest „Hopes, Talents, Masters“ in Bulgaria and the Grand Prix at the II. Academic Competition Parashkev Hadjiev in Sofia. As a concert piano player she wan the 1st Prize of the National Competition „Veselin Stoyanov“ in Sofia, the 2nd Prize at the VI. National Piano Contest for Russian Music in Pleven and the 3rd Prize at the V. International Piano Competition „Franz Schubert“ in Russe. 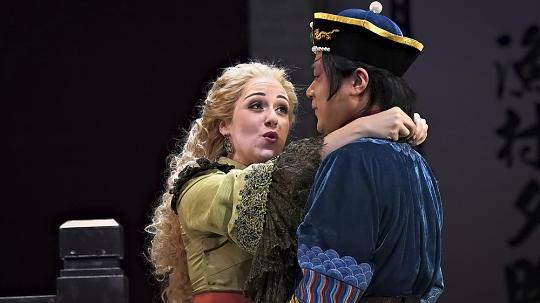 The opera repertoire of the young, attractive artist includes such roles as PAMINA in „Die Zauberflöte“, ZERLINA in „Don Giovanni“, MIMI in „La Boheme“ or LAURETTA in „Gianni Schicchi“. In concerts she sings excerpts and arias from „Manon”, Gounod’s „Faust“(Marguerite), Lehár’s „Giuditta“ , Dvorak’s „Rusalka“, Strauss’ „Die Fledermaus” (Rosalinde). Her concert repertoire contains works from Poulenc, J.S. Bach,... 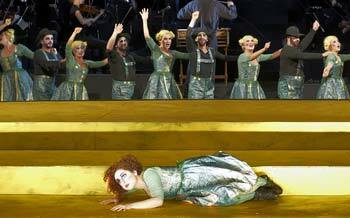 In summer 2016 Ralitsa made her debut as GILDA in ‘Rigoletto’ with the Südwestfalen Philharmonic Orchestra and at the Schenkenberg Festival in Switzerland. Ralitsa Ralinova’s Susanna seemed a bit more earth-rooted, but she is also a first class Mozart interpreter. The versatile singer Ralitsa Ralinova, whose interpretation of Gilda we have still in mind, played the title role. With her yourhfully freh soprano voice she convincingly succeeds in navigating between dream and reality, making psychic secrets palpable. Ralitsa Ralinova's fairylike soprano voice excellently suits the title figure. Ralitsa Ralinova in the title role has a soft, girlish soprano voice which even seems to emphasis Julietta's sirenlike character. With a beautiful voice and an elegantappearance Ralitsa Ralinova played the nymphe with her oversized mane of curls, her elegant clothes and the sought-after lover. With mellifuous, seducing singing she created beautiful accents. 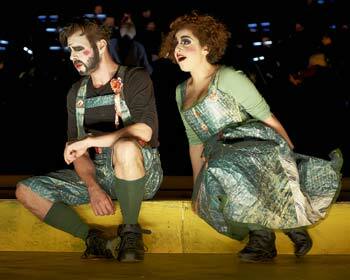 ...and Ralitsa Ralinova with her playfully light soprano as Gretel. …and the soprano Ralitsa Ralinova alias Gretel, who apart from her excellent acting also succeeds in granting the main character every possible vocal benefit. 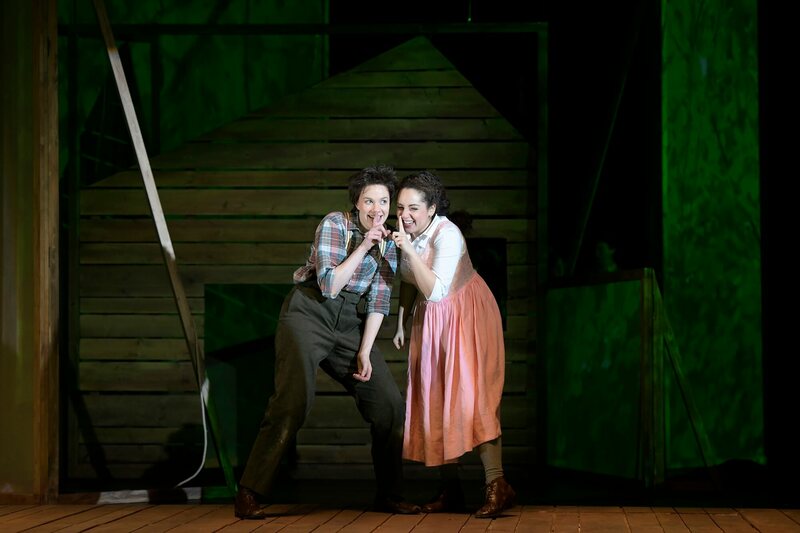 The singing was just fabulous: One can hardly imagine a better cast for Hänsel and Gretel as Catriona Morison and Ralitsa Ralinova with their young, exuberantly brilliant voices. The same goes for Ralitsa Ralinova, who emphasizes Gilda’ schizophrenia with nervous gestures and yet sings with enchanting sweetness and brilliant staccati. Ralitsa Ralinova and Damien Pass as Zerlina and Masetto made a vocally and actingly convincing performance.With her youthful soprano voice, Ralitsa Ralinova gives the peasant girl a naive simplicity, as she ist taken in by Don Giovanni's courting Then again she plays the role with coquetry, as she succeeds in calming her jealous broom. 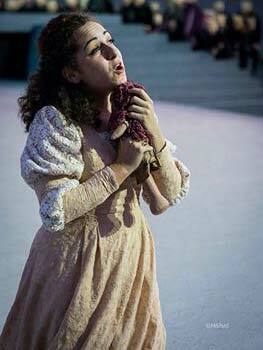 Ralitsa Ralinova 's huge soprano voice and her sweet portrayal of Alice earn much acclaim... "